The Return of Nottingham’s Fun Phenomenon: Goose Fair! Ahhh, my inner child screams when I see that Goose Fair is only a few weeks away. When I was a child, being brought up in Nottingham meant that Goose Fair has always been the highly anticipated ‘thing’ to do in October. As the autumn leaves are falling, and as the winter coats are being dug out to wear it’s always an exciting time for children – and adults too! There’s the classic rubber frog, hook-a-duck and dart games at “5 go’s for £3 or 10 go’s £5”. Or, the thrilling Waltzers, the Drop Tower and the Enterprise. Then there’s the food – oooh the food. 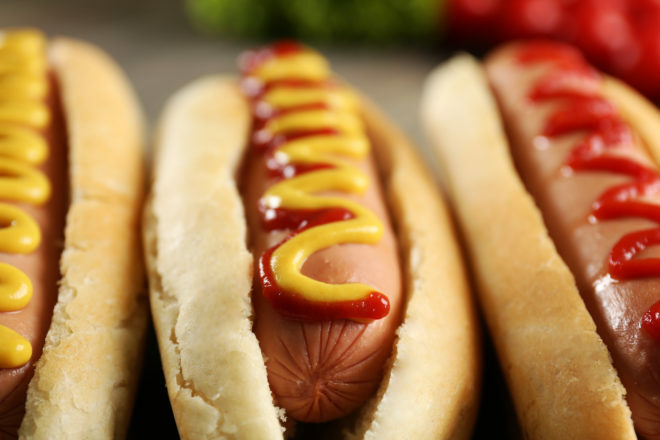 Grilled hot dogs with a generous load of mustard, ketchup and onions with cooked-to-perfection mushy peas, and to top it off, a bag of overly sugared doughnuts. Nottingham’s biggest fair is an asset to the city. Each year many people come from all around the Midlands – and further – To take in the Autumn atmosphere. 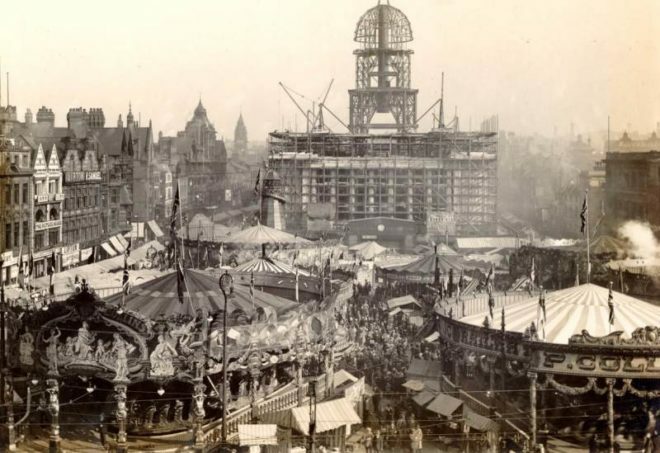 History of the Fair dates back as early as 1284 and has only had annual cancellations because of huge epidemics such as the World Wars and the plague – there really ‘aint much stopping all the fun of the fair! As well as the Fair being famous for selling Geese (which is supposedly where the name came from) it was known for its autumn trade and enjoyed a reputation for its high-quality cheese. In 1764 there was a cheese riot due to an increase on the price of cheese compared with the previous year. Outraged punters ransacked the stalls and huge cheeses were rolled down the slopes of Wheeler Gate and Peck Lane. The Mayor’s attempts to calm things down resulted in his dignity being flattened by a 100lb cheese! In the 1920’s the Fair was moved from the Old Market Square to the Forest Recreation Ground, where it still stands today, so it can be celebrated bigger, and better than ever. So what are you waiting for! 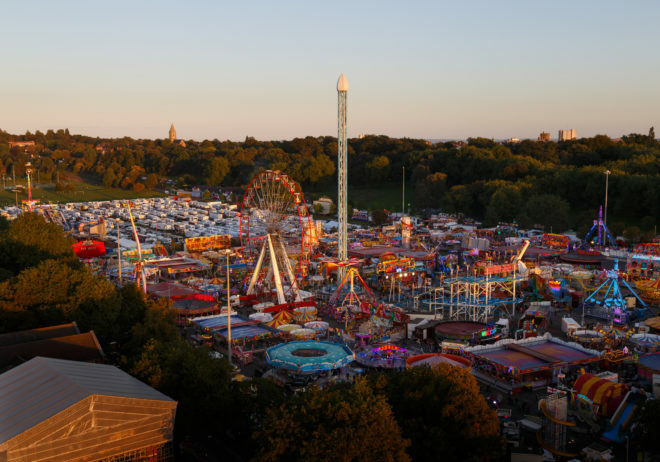 Whether it’s your first time, second or 56th time – get the dates in your diary and find out more information about Goose Fair here, it’s a perfect time to take in the real history of Nottingham, whilst having some brilliant fun. Nottingham’s Goose Fair returns from Wednesday 3 to Sunday 7 October 2018 at the Forest Recreation Ground to thrill and delight city residents and visitors. 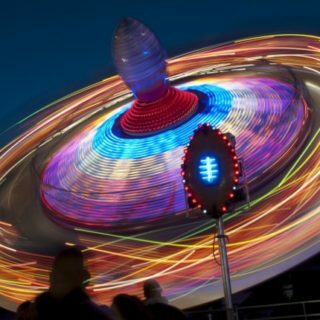 Visitors to the fair will enjoy more than 500 attractions – from the latest white knuckle rides for thrill seekers to the ever-popular family, children’s and old-time rides.